We feel that the essence of making Ridiculously Good Espresso Martinis is the quality of the ingredients. That’s why we recently teamed up with the wonderful Fair Spirits company who source sustainable and Fairtrade ingredients to make their award-winning, premium drinks. 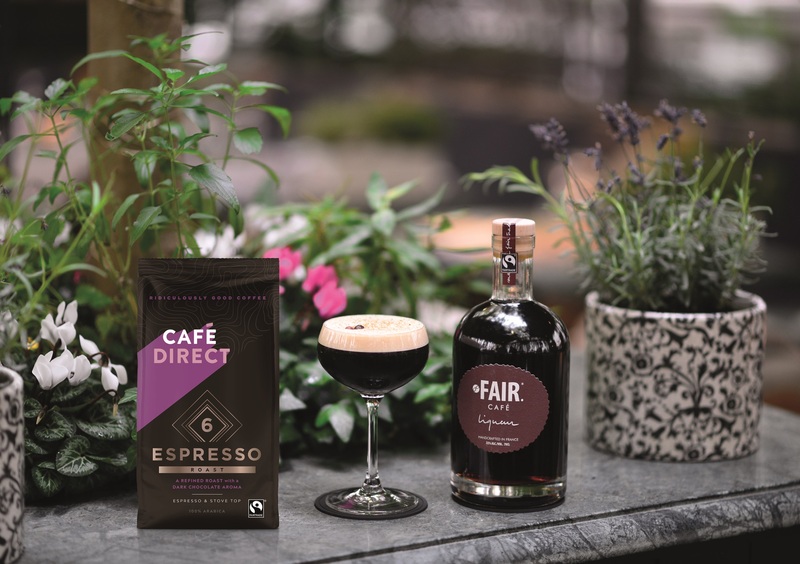 Combine their award-winning Quinoa Vodka and Café Liqueur with Cafédirect’s Organic Espresso blend and you have the perfect drink to start your festive celebrations. 1) Make 50ml (2 shots) of Cafédirect Organic Espresso Blend coffee. 2) Pour the FAIR. Quinoa Vodka, FAIR. Café Liqueur and Cafédirect Organic Espresso Blend coffee into a cocktail shaker. 3) Fill the martini glasses with ice (ideally straight from the freezer) to chill and then fill the cocktail shaker with ice as well. 5) Remove the ice from the martini glasses. 6) Place the Strainer over the cocktail shaker and carefully pour the Espresso martini slowly into the glasses.